New York is full of great bars. For a tourist, finding the right bar to try out can be a daunting task. Living in the city, it becomes easy to locate your preferred watering hole and sticking to it. But for the traveler who only has a few nights to explore, picking the right place is important and will shape their experience of the city. 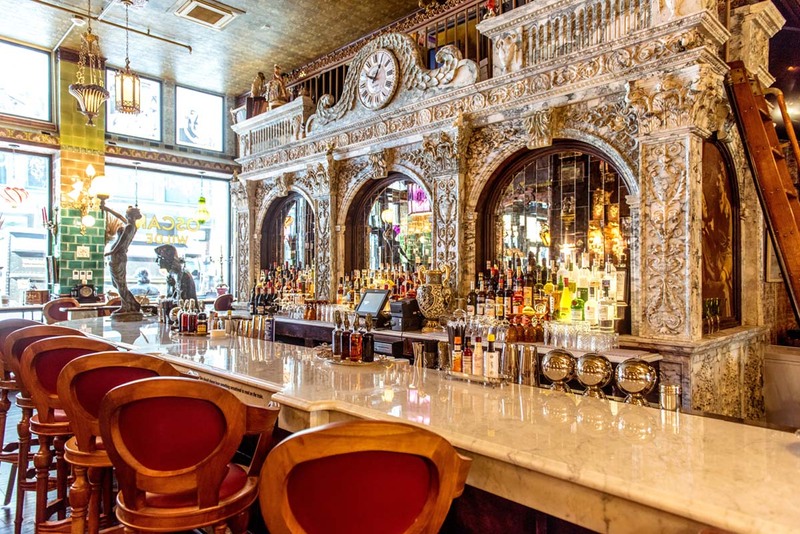 I recently had family visit and hoping to pick a bar with an interesting history/atmosphere to it, I decided to take them to Oscar Wilde Bar in Chelsea, Manhattan. If you’ve come across it, you likely were struck by the glamour of the decor (or assumed it was an antique shop and kept walking). It’s decked out with lavish antiques and paintings, grand furniture, chandeliers and crown molding. Oscar Wilde is a bar of indulgence. 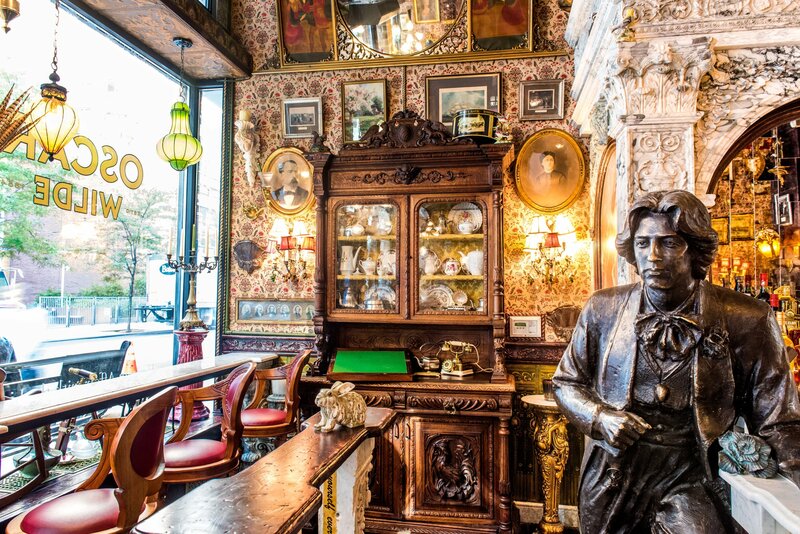 A reminder of the lavish and glamorous life of Oscar Wilde himself, the bar strives to create a place of extravagant debauchery. This idea is certainly evident in the decorations, which is pretty to be a part of. 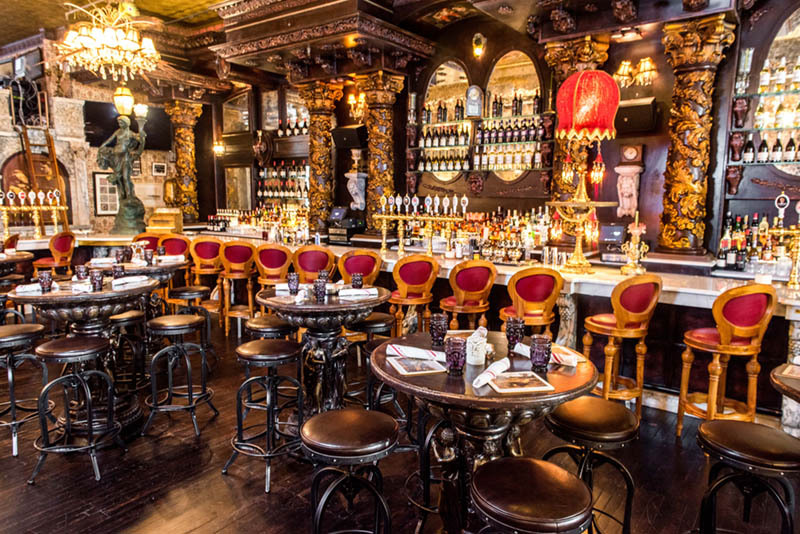 The bar has a Victorian Era theme with intricate decorations and design. Historical pieces are built right into the architecture of the space, including a vintage fireplace from 1840s and a player piano from 1819 build into the backsplash of one of the bars. All of this adds to its stunning appearance, however, it lacks a sense of character. My interactions with the staff were impersonal. The drinks, although tasty, didn’t stand out the way a cocktail at Raines Law Room does. 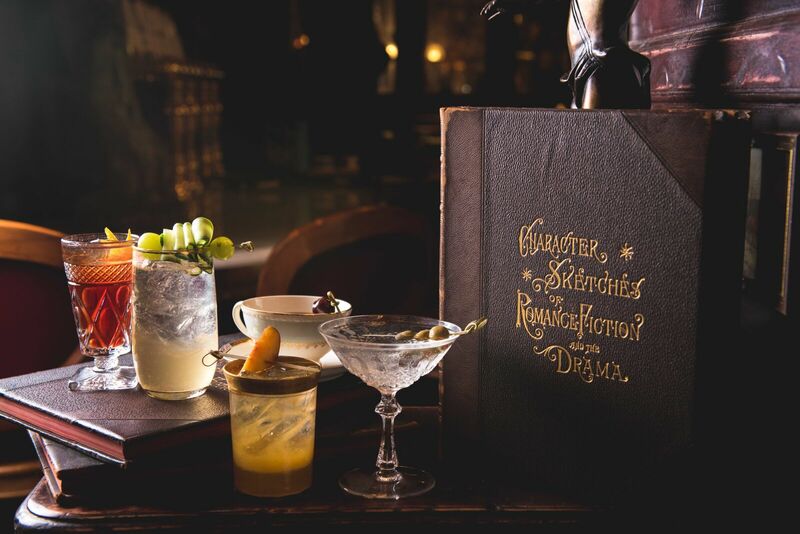 I think in order for a bar to develop character that’s deeper than its appearance is to have a staff that helps elevate the experience. Whether that be from how the bartenders engaging you, or performers walking around in costume, or even a live band. For me, it was missing that personal touch, that interactive element that allows you to experience a place. The drinks were in the typical New York price range, with $14 specialty cocktails, and wine ranging from $11-30+ per glass. My family enjoyed the decorations, pretending for a second that we were in the 1800s, but outside of those short moments, I realize we probably would have had more fun at a smaller, more convenient dive bar, that has way more character. Would I come back here? Probably not.